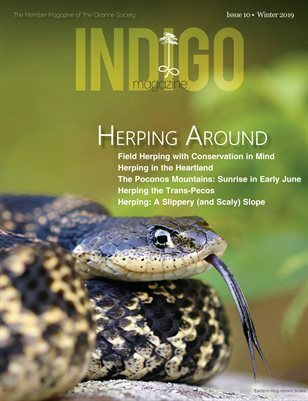 Our 12th Places You’ve Never Herped will take place in Vermont’s beautiful Northeast Kingdom. The Northeast Kingdom is a unique physiogeographic region that lies right at the transitional zone between northern hardwood forests to the south, and the spruce-fir boreal forests to the north. The area is home to many species found almost nowhere else in the country and, while reptile and amphibian diversity is low, conducting herp surveys in the area can be very exhilarating, which is what Orianne Society members will have a chance to do this April. Orianne Staff and 30 members will use a variety of survey methods to collect data on snakes, turtles, salamanders, and frogs in a very scenic area where you can also spot moose, Spruce Grouse, Three-toed Woodpeckers, Boreal Chickadees, and a wide variety of other northern wildlife. We will visually survey for herptiles, taking the opportunity to capture, photograph, and document the species we encounter. We will also conduct night-time road searches, calling surveys, and set ‘catch-and-release’ traps in wetlands to survey more secretive species such as Blue-spotted Salamanders and Snapping Turtles. Attendees should be prepared to get wet and a little muddy, so come prepared with extra changes of clothes, more socks than you think you’ll need, and appropriate footwear. People interested in participating in nighttime road searches and calling surveys should also bring a flashlight or headlamp. There may even be a little snow on the ground still, so bring a jacket as well. The event will be held April 21-22 with registration opening on a ‘first come first serve’ basis on April 2, 2018. For reference, the best lodging opportunities will be in St. Johnsbury or Lyndonville, VT.